In this research essay, I will talk about the history and future of a particular technology called “Processing”, that is often used in context of computer arts and more specifically, generative arts. I will provide some background about generative art, tools like Processing, their capabilities, and implications of the technology. How did Processing come about? Who was leading its advancement and development? Who cares about it? What forces shaped it to be what it is now? How did it affect the world? What’s next for Processing and similar technologies? You will find answers to these and to many other questions about Processing as you read through this paper. Let’s start with some definitions. What is “generative art”? According to Wikipedia, “Generative art refers to art that in whole or in part has been created with the use of an autonomous system” . Generative artworks created by the autonomous systems are the ones where the system (non-human) generates artistic output based on some algorithms or ideas from the artist controlling the system. The history of the term “generative art” goes back to 1965, when two pioneers of computer art, Frieder Nake and Georg Nees, independently exhibited some of the earliest examples of generative art. After that, increasingly complex generative artworks and widespread recognition of this new art form was achieved. Architects, musicians , designers, computer scientists, video producers, roboticists, and others have been known to use computational and generative arts to create new designs, artworks, songs, audio-visual and other experiences. Over the years, many methods of creating generative or computational arts were tried. Most of them involved writing complex code in a way that was not easily approachable by newcomers to programming. Things started to shift around the year 2000, after John Maeda’s publication of “Design By Numbers”, a book and simplified programming language for creation of visual arts. One of the technologies following this publication and enabling people to interact with the medium of generative arts to this day, is a tool known as “Processing”. Processing is an open source multi-platform development environment for visual programming. Inspired by simple programming languages like BASIC and Logo, it provides an entry point to programming by means of manipulating graphics and sounds. Processing is used in schools, universities, and as a tool of the trade by professional artists and programmers. As of March 2018, about 250,000 active users use Processing . Processing was created at the Aesthetics + Computation group within MIT Media Lab by Benjamin Fry and Casey Reas in the early 2000’s as a successor to John Maeda’s visual programming language and tool called DBN, “Design By Numbers” (Fry B. , 2004). The new tool, Processing, has been in active development since then and continues to be used and expanded by its community to this day. What are the roots of Processing? What decisions were made in order to arrive at what is now known as Processing? Who was involved? Let’s take a look at the archives to discover the answers to these and more questions. Since the invention of computers, telling a computer what to do required a large amount of very special knowledge. Computer programmers of the 1960s-2000s needed to have years of extensive training in order to write programs. The barrier between non-mathematically inclined people and programming was too great to overcome for those who wanted to program but lacked the necessary training. This problem was studied by a few universities and organizations and as a result, by the end of the 1990s, multiple attempts at lowering the barrier for teaching programming to people that are visually (but not mathematically) inclined were made. One of the first attempts in this domain was made by Seymour Papert, Cynthia Solomon and Wally Feurzeig through introduction of “Logo” programming language in the 1960s. The turtle graphics feature of Logo was so popular, that many other software packages offered it and made extensive use of the concept. The existence of compact pen plotters combined with turtle graphics gave opportunity not only to beginner programmers, but also to artists that could create artworks with code, making it possible to draw complex drawings with a pen in the real world just like programming the behavior and the state of the pen attached to the virtual “turtle” in turtle graphics. 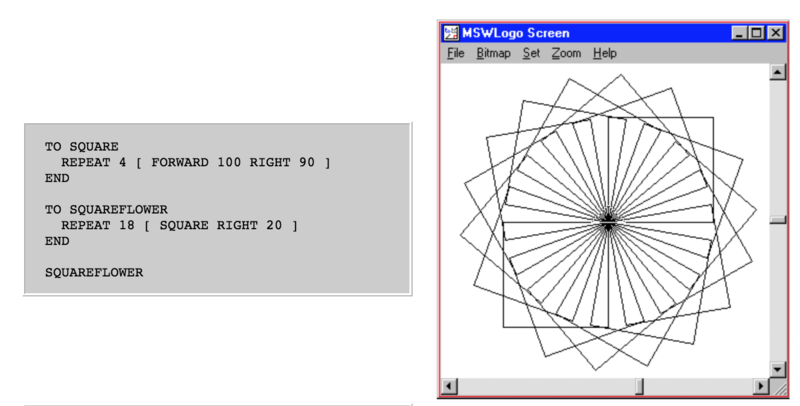 As the methods of creating graphics using the computer evolved, they did so in parallel with ways of programming, but without intersecting more closely. Tools like Photoshop were built by large corporations and did not provide ways for regular users to quickly program some new features, while programming environments like Logo were too limited in their capabilities. In other words, if you were to learn programming graphics in the 1990s, you would need to know quite a bit of computer science in order to draw and animate a few hundred circles on the screen, or you would need to pay thousands of dollars for software that could do this for you in a limited fashion. In order to remove this gap and to create a more user-friendly way of visual programming, new ways of programming were explored at research institutions like MIT. One of the potential solutions was presented by John Maeda, a professor at MIT Media Lab, in 1999. Project called “Design By Numbers” (DBN) and first version of the software with the same name was aimed at designers and artists that wanted to learn programming but did not have the extensive training to do so. Some examples of using DBN’s syntax to create lines, squares and gradients. DBN as a concept was powerful, but its execution was too basic to be adopted by its intended audience. 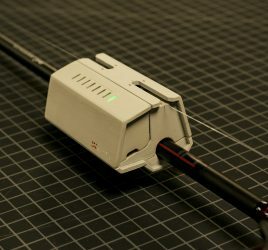 Some of John Maeda’s students saw the potential in this new technology and volunteered to build its next iteration, implementing changes according to the feedback received from the initial users. 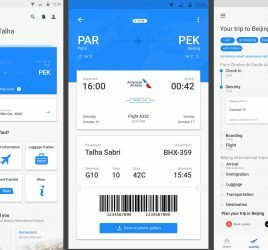 Benjamin Fry and Casey Reas emerged as the ones advancing “Design By Numbers” concept and making iterative improvements to the software platform over the next few years. John Maeda mentions on the DBN website: “DBN is the product of many people. Benjamin Fry created DBN 3 and 2. DBN 1.0.1 was created by Tom White. The original version DBN 1.0 was created by John Maeda. The courseware system was developed by Casey Reas, and translated to Japanese by Kazuo Ohno. Other people that have contributed to DBN development are Peter Cho, Elise Co, Lauren Dubick, Golan Levin, Jocelyn Lin, and Josh Nimoy.” (Maeda, Home Page, 2001). After considering these and other options, Benjamin Fry settled on using Java as the central technology that Processing would be built upon. In his thesis, he writes about the pros and cons of this choice in more detail (Fry B., 2004). This necessary choice would later impact a lot of politics behind Processing and have widespread implications on its success, community and its history. After the release of Processing, Casey Reas started to build a community around it. A website with documentation for the language syntax, forum and showcase of the tool was established over the period of few months in 2001 – 2002. The website was well organized and had a clear design to it, welcoming the newcomers and providing clear directions on how to get started. Originally, the domain name for the website was at proce55ing.net because processing.net or processing.org were not available. Users also referred to Processing as “p5” as an abbreviation. One of the recurring tensions within the Processing community was the interaction between users of Macromedia Flash and users of Processing. The reason for that is that these two distinct platforms could be used to create similar output and when looking at the results, newcomers would have certain expectations from Processing as if it was Flash. Often Processing and Flash were compared by professionals and newcomers alike and various resources were created comparing the two. Over the years the communities intersected in a lot of areas, mainly by means of sharing code that could be made to work on either platform with some effort. Many artists and programmers working with Flash became familiar with Processing and vice versa. The worldwide impact of Processing started to snowball quickly after its release, changing the landscape of computational arts, visual design and tangible computing over the years that followed. The success of Processing community was replicated a few times by others, with the help and guidance from people from within the Processing community. For example, physical computing development environments like Wiring and Arduino owe it to the foundations laid in Processing by Ben Fry, Casey Reas and contributors. When Casey Reas was teaching at the Interaction Design Institute in Ivrea (a town in Italy) in 2003, he met Hernando Barragán who got interested in developing Processing-like environment for microcontrollers as a part of his thesis project. Because creators of Processing believed in open source code, they were willing to share their experience and code of the Processing Integrated Development Environment (IDE) in order to build a new IDE for microcontrollers that was called “Wiring IDE”. This new IDE shared almost all of the user interface elements of Processing and worked in a similar way, abstracting away the complexity of programming and compiling software for microcontrollers (Barragan, Wiring: Prototyping Physical Interaction Design, 2004). Wiring IDE and microcontrollers that work with it are still currently in use. The Wiring website and community behind Wiring also followed similar steps as it happened with Processing. The website shared same type of information as Processing’s site: exhibition, documentation, examples and language syntax were easily accessible. One of the systems behind Processing’s success in educational settings, the courseware package, was also replicated and used for teaching Wiring to new users. As time went on and users got accustomed to Processing, the development of Processing was not going fast enough for some users. This fact pushed those users to create their own derivatives of Processing and a few new platforms were born. OpenFrameworks, a platform built by Zach Lieberman in 2005 was one of such examples. It provided more powerful features for experienced programmers, yet still followed similar principles and openness of Processing. Cinder, another tool for creative coding was created by Andrew Bell in 2010 to achieve higher graphical performance than Processing. Ben Fry and Casey Reas are still very involved in development of Processing to this day. Along with a newer project lead, Daniel Shiffman, they are working on Processing as a software platform, and on expanding the community of users. There are over a dozen of other people working on Processing and there are hundreds of people from around the world being actively involved in expanding the Processing community. Since 2001, over 20 books have been written about Processing by various authors. 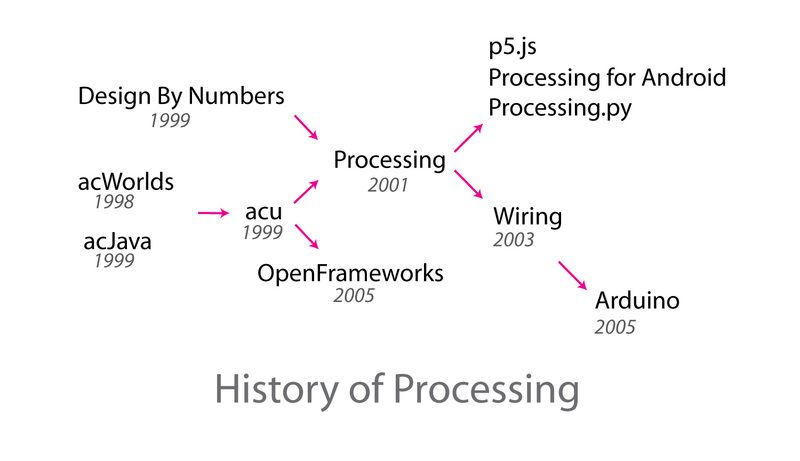 History of Processing in one diagram (includes corrections from Tom White’s tweet referenced above). Boden, Margaret & Edmonds, Ernest. (2009). 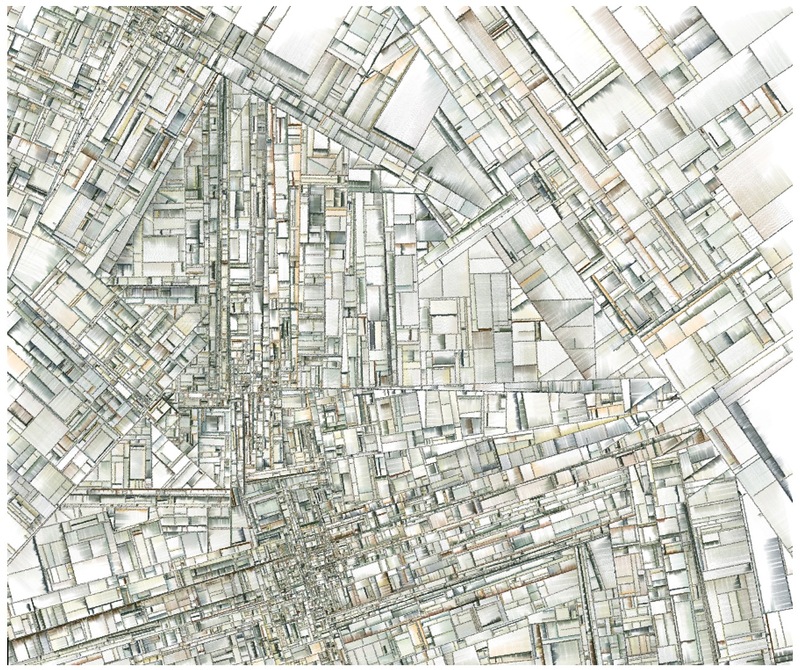 What is generative art?. Digital Creativity. 20. 21-46. 10.1080/14626260902867915. Behrens, R. (2000). Design By Numbers review. Leonardo, 33(2), 148. Maeda, J. (1999). Design By Numbers. MIT Press.